Both parties worked through the weekend, according to the county, to reach an agreement. This comes after 11Alive broke the story of the secret legal dispute on Thursday. 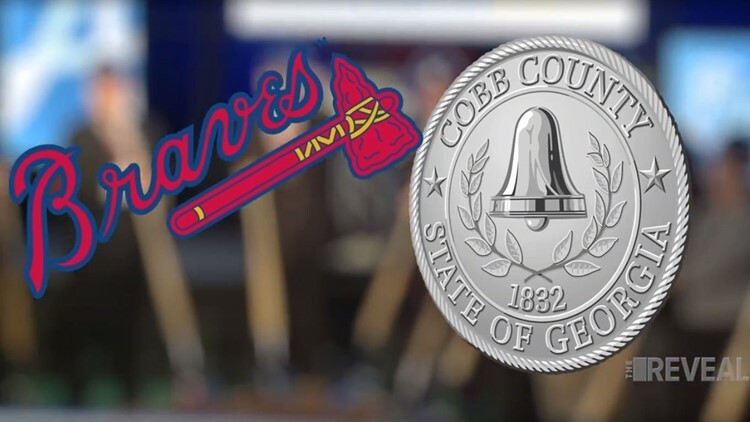 Cobb County and the Atlanta Braves may have come to an agreement in light of a hidden battle where the Braves claimed the County owed $4.6 million more for the new stadium. 11Alive Investigator Faith Abubey exposed the secret dispute after digging up documents showing that the financial fight was getting heated. In a release Monday afternoon, Cobb County said the commissioners will "consider a proposed agreement between the county and the Atlanta Braves that will resolve an ongoing dispute over fees." According to the documents 11Alive uncovered, the Braves said the county owed them $4.6 million for the balance of the transportation improvement fund, refund for the building permit, management costs, and legal fees. That is on top of the already $14 million that the county paid for the stadium to be built. The new proposed agreement from the county said that the Braves have agreed to withdraw their demand and instead pay the county $380,000 for the I-285 Pedestrian Bridge as well as $1.4 million for a "system development fee" regarding water and sewage. In return the county said it would pay the Braves a yet-to-be-determined amount for the nearly half-million in project management costs. Cobb County Commissioners plan to vote on the new proposed agreement Tuesday morning.